Most of us like to relax with a cold beer or a glass of wine after a hectic week, but then we also know how alcohol isn’t great for our health. When you’re aiming to lose weight, alcohol is often best avoided due to the number of calories it contains and the effects it has on the body, but for those taking phentermine there are further risks to consider. Here we explain how alcohol hinders your best weight loss efforts and why it is inadvisable to mix phentermine and alcohol, with respect to both the success of your weight loss journey and to your health. The bottom line is, alcohol and weight loss really don’t mix. There are several ways in which alcohol negatively effects the chance of success on your weight loss journey. Firstly, alcohol contains many empty calories, meaning it is high in sugars which get converted to fat without providing the body with any nutrition. Secondly, alcohol decreases testosterone levels and causes fluid loss and tiredness, meaning exercise is more difficult and less effective. As a depressant it also suppresses the functions of the liver for as long as three days following the consumption of alcohol, meaning it limits your body’s ability to burn fat and build muscle by stopping the liver from processing food into energy. Lastly, alcohol leads to poor food choices as it activates hunger messages in the brain, leading to cravings for unhealthy foods high in saturated fat and salt. Keep reading to learn more about phentermine and alcohol, or check out the infographic below if you’re in a hurry! For those taking phentermine to lose weight, as well as the effects of alcohol on weight loss, there is the additional reaction between phentermine and alcohol to consider, which comes with risks to health and potentially dangerous side effects. The problem with combining alcohol and phentermine arises from the fact that phentermine is a stimulant while alcohol is a depressant. 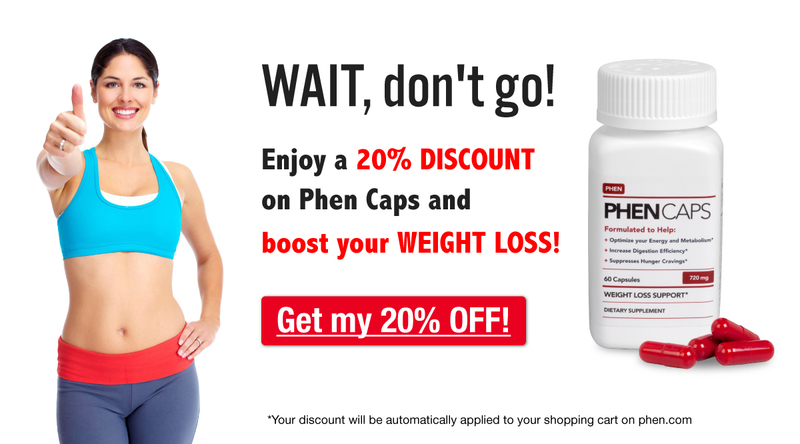 Phentermine works as a weight loss medication because it directly affects the central nervous system by suppressing the parts of the brain responsible for appetite control, while other functions are stimulated to enhance energy and tolerance to intensive exercise. By contrast, alcohol suppresses the main functions of the central nervous system. The mechanisms of phentermine and alcohol are different, so simultaneous consumption of these can result in a negative drug interaction. Warnings about drinking alcohol while taking phentermine explain that the combination can increase the risk of cardiovascular side effects, such as increased heart rate, chest pain or changes to blood pressure. You may also be more likely to experience symptoms such as dizziness, drowsiness, depression and difficulty concentrating. Some of the side effects that those taking phentermine have mentioned in the Phentermine.com support group on Facebook include: jittery feelings, an inability to concentrate or interact in conversations, feeling on edge, and enhanced anger. In addition to these negative side effects, alcohol also makes phentermine less effective, as one of the Facebook users mentioned in the link above. Alcohol activates hunger and greatly limits the effectiveness of the phentermine by reducing the appetite suppressing effects that phentermine has on the brain, while also decreasing the energy boost that phentermine supplies. Alcohol also effects the pH balance of the body, making it more acidic; phentermine has been shown to last longer in the body by as much as twice as long when the pH balance is more alkaline, which can be achieved by eating lots of fresh fruit and vegetables, while refraining from unhealthy acidifying foods and drinks like ice cream, butter, coffee and alcohol. Can I Drink Alcohol While Taking Phentermine? It’s best to refrain from drinking alcohol while taking phentermine, or at least to limit the amount of alcohol you consume. Your doctor will explain to you what you should and shouldn’t do while taking phentermine, including your recommended maximum intake of alcohol. To ensure that you are more aware of how alcohol affects your body when you begin taking phentermine, you should aim to drink slower and to alternate alcoholic drinks with glasses of water to keep yourself hydrated and to give the alcohol time to enter your body so you can monitor how you feel. If you begin to feel unwell or experience symptoms such as those mentioned above, you should stop drinking alcohol immediately. While it is true that some people experience no adverse side effects from mixing alcohol and phentermine, it is something that everyone should approach with caution, as when taking individual differences into account, this kind of drug interaction can be very dangerous for some people. Much of the success you will gain from your weight loss journey is related to knowing your body and acting in a way that you know is right for your health and well being. This means avoiding or at least limiting your alcohol intake so as not to experience these negative side effects when mixing alcohol with phentermine, as well as in order to enjoy a healthier lifestyle in the long term. I started phentermine a week ago and noticed the change of appetite suppression immediately. Started eating better and drinking lots of water as my Dr. suggested. In 1 week I\’ve gone from 365 lbs to 351lbs. Last night had family in town and sat at a bar-b-que as we do in TX, and attempted to drink an alcoholic beverage. I could not finish it as I was starting to feel really weird while drinking. Now I know after reading this post, not to mix alcohol with Phentermine. I take phentermine once a day in the mornings. If I knew I was going out for an event that involved drinking, how soon should I stop taking phentermine? Example: 24 hrs or 48 hrs prior to the event? Just wondering. Drinking for me isn\’t a necessity and I can surely go without if need be. Hi Susan! It’s really not recommended to drink alcohol while using phentermine. The problem with combining alcohol and phentermine is that phentermine is a stimulant while alcohol is a depressant. The combination can increase the risk of cardiovascular side effects, such as increased heart rate, chest pain or changes to blood pressure. You may also be more likely to experience symptoms such as dizziness, drowsiness, depression and difficulty concentrating. Your doctor can give you more information on phentermine and alcohol, so we also suggest speaking to him/her about this concern. I have been drinking 30 mg phentermine once a day for 3 days but insomnia is bad. Will it get better and/or can I drink anything to get a better night sleep? Wow, I\’m about to start taking the low dose. Seeing these posts have been very helpful. My pharmacist stated that it may cause insomnia, has anyone experienced that? Started taking phentermine 10 weeks ago combined with a optifast 800 full meal replacement dr supervised, 850 cal. 50 yr old 5\’8\” male started at 269. Down to 220. Stuff really works. Not hungry. Lots of energy. Have only had two drinks in that time. Didn\’t notice anything strange as far as side effects. On a mission, so not indulging to much. Have a vacation coming. Want to relax have some fun, and some drinks but don\’t want any large setbacks. Don\’t want to die either. Not sure if I should just go off of them for that week? Or see how it goes. Hi Ac, thanks for your comment! We’d recommend speaking with your prescribing physician about this. It’s really not recommended to drink alcohol while using phentermine due to the heightened risk of serious side effects. The fact that you’re also on Optifast only adds another variable into the equation. Your doctor can give you more information on all of these interactions, so we suggest speaking to him or her about your questions and the possibility of stopping phentermine during vacation if you plan on drinking. He/she knows your case best and could best advise you on this decision. I started taking phentermine today and a water pill , I only took half a pill of the phentermine because I have anxiety and I have tried phentermine in the past for a couple of days back in 2008 and felt anxious so I was advised at that time to take half a pill , so this morning around 6 a.m. I took the pill with a full glass of water , I have had energy today but have felt kinda buzzed all day like if I had a drink and now my body feels a little tingly , I take depression and anxiety medicine at night so it will be safe to still take my normal meds ? Hi Darla. We strongly recommend speaking with your prescribing doctor about these multiple medications ASAP. It can be very dangerous to combine phentermine with water pills or other medications (including anxiety and depression medicine). Therefore, you should not combine these medications unless directly instructed to do so by your prescribing doctor. We are not qualified to dispense medical advice, but we would suggest speaking immediately with someone who can more expertly advise you on these potential combinations. I started with 30mg but decided to break in half since I was experiencing my heart racing. I also had headaches. This is normal right? Does your body take a few days to get use to this drug? Hi Allie! Yes, it’s normal to experience some heart racing and mild headaches when starting this medication. However, if you have chest pain, severe headache, or any of these other more serious side effects, make sure speak with a doctor right away. I started on 15 mg (I also am on warfarin 10 mg) and have been on it for about a month. Have lost close to 20lbs – slow but steady wins the \’race\’. My concern is the the insomnia. Even that minimal dosage has effected my sleep. Called my doctor and she suggested taking it every other day and that has helped even things out for me. Glad I found this site. I\’ve been taking phentermine for a week now. I\’m not a heavy drinker, but I do like to relax with a cigar and a finger of scotch or bourbon or a beer. When I do this I don\’t drink more than 1 beer or a single of bourbon. Will having that one beer or drink once or twice a week be a huge issue on phentermine? And also I drink craft beer, so will the higher alcohol content of craft beer be that bad even if it\’s just one? We do not recommend taking alcohol during your phentermine treatment. Using phentermine with alcohol can increase the risk of cardiovascular side effects such as increased heart rate, chest pain, or blood pressure changes. In addition, you may also be more likely to experience nervous system side effects such as dizziness, drowsiness, depression, and difficulty concentrating. There is no way to tell you how much alcohol will be required to affect you in what way while under the treatment; there are too many variables. But the important part is this: there are risks and it’s not recommended. Hi I started Phentermine last Sunday, I was fine with no symptoms really until yesterday, I drank more than 2 cups of coffee, my heart was racing, it felt like tingling vibrations traveling through my body like my nervous system is all over the place. So I have learned my lesson and will Change to decaf-coffee, buy I am a smoker like a pack every 21/2 says does this interfere with is medication? Caffeine and phentermine usually have those results you experienced, because both are stimulants (phentermine being much, much stronger than anything out there) so you’re pushing your nervous system to new levels and this is taxing for your body. In the same vein of taxing your body, we’re well aware that you’ve heard it before, but we definitely recommend quitting smoking. Although it does not interfere with phentermine per se, nicotine is also a stimulant (and it comes with a long list of additional problems, like heart and lung disease). Some phentermine users have reported extreme reactions to smoking while on phentermine (feeling sick, heart racing, stomach issues) but there’s not enough date on interactions to specify contraindications. It does not seem to interfere with the effects of phentermine, at least. Today is Wednesday. On Friday I plan on going to my best friends birthday party. I\’ve been on phen since February, 37.5 mgs. I\’m worried about the phen and alcohol. I was thinking I\’d just not take my pill tomarrow that way I\’d be ok to drink at her party. Is this ok?? One of my worries is that I don\’t want to start into withdrawl if I do this, and I don\’t want to take a pill the day of her party. Any suggestions? Thanks! It’s best to completely avoid alcohol while taking phentermine. The two substances can interact negatively and make side effects worse so, if possible, it would be better to opt for non-alcoholic beverages this weekend. Hello everyone! I just dropped my prescription for Phentermine at the pharmacy today.. I was thinking of starting the pill today. I had a few alcoholic beverages yesterday. Is it okay to take after a day of drinking? I know its not ok to take during and Im not a big drinker so that\’s fine but was curious about taking it a day after I had drinks? Thank you in advanced. Hi Jessica! It depends on how much and when you drank yesterday, but if it was a moderate amount and it’s been over 24 hours, you’re probably okay (check out this article for more info on the metabolism of alcohol: https://www.healthline.com/health/how-long-does-alcohol-stay-in-your-system). The important thing is that you avoid having both substances in your system at the same time. Just to be sure, double-check with the pharmacist when you pick up your prescription: he or she would be able to tell you for sure. Best wishes! Hi! I am currently in a weight loss program. The doctor gave me this Rx for 37.5mg of Phentermine as an option today and told me to take it only if I wanted to and said I didn\’t have to take it consistently. I decided to take half to see who it made me feel since I am sensitive to medications. It gave me great energy and definitely suppressed my appetite! What I didn\’t realize was that I can not drink when taking this medication. I have plans to watch a ball game tonight with a guy I just started seeing. I planned on just having a drink, maybe two. I was going to have tequila seltzer and lime since its low calorie. Is this a really bad idea or should I be okay? I took the half dose at around 9 am and I am meeting him around 6 pm. Hi Jane – sorry for the delay in getting back to you! In case other people have a similar question: you should avoid alcohol while taking phentermine (even if you only took half a pill) because the combination can cause or exacerbate side effects. Since you don’t know how you’ll react, it’s best to stick with non-alcoholic beverages like juice or diet soda, especially if you’re with someone you don’t know very well. Best wishes! Hi, I started to take phen about 3-4 days ago and I have my cousin\’s wedding this weekend and I know it is better to stick with non-alcoholic drinks but I know there will be no avoiding a few drinks at this celebration for my cousin and her husband. If her wedding is on Saturday, should I avoid taking it both Friday and Saturday or just avoid taking it on Saturday? Can phentermine cause false high Blood Alcohol results? Hi BC! I’ve never heard of this happening (phentermine usually gives a false positive for amphetamines on a drug screen), but you may want to ask around in our Facebook group to see if other users have experienced this problem. Best wishes! If I don’t take phentermine for that day can I still drink alcohol that day ??? It’s best to avoid alcohol while taking phentermine. The two substances can interact negatively and make side effects worse, and phentermine stays in your system for up to 4-7 days, so it’s better to completely steer clear of alcohol if possible. How long should I wait to consume alcohol after I take phenterine? I know I can’t consume while I’m taking it but I am going on a cruise April 29. How long does phentemine stay in my system? Thanks! Hi Pam, sorry for the delay in getting back to you! Phentermine stays in your system for an average of 4-7 days, but this varies between individuals based on a variety of factors. Either way, it’s important to always check with your doctor before stopping (or taking a break from) phentermine. Have fun on your cruise!